New to our online store … Scented Candles. We are excited to introduce our newest gift item. These candles smell amazing and are beautiful to boot. Each candle measures 4.25″ x 4.25″ and will burn for a hundred hours. The candles are wrapped up with burlap twine and adorned with a beautiful metal leaf, ready for gifting. It’s like a vacation in a jar! 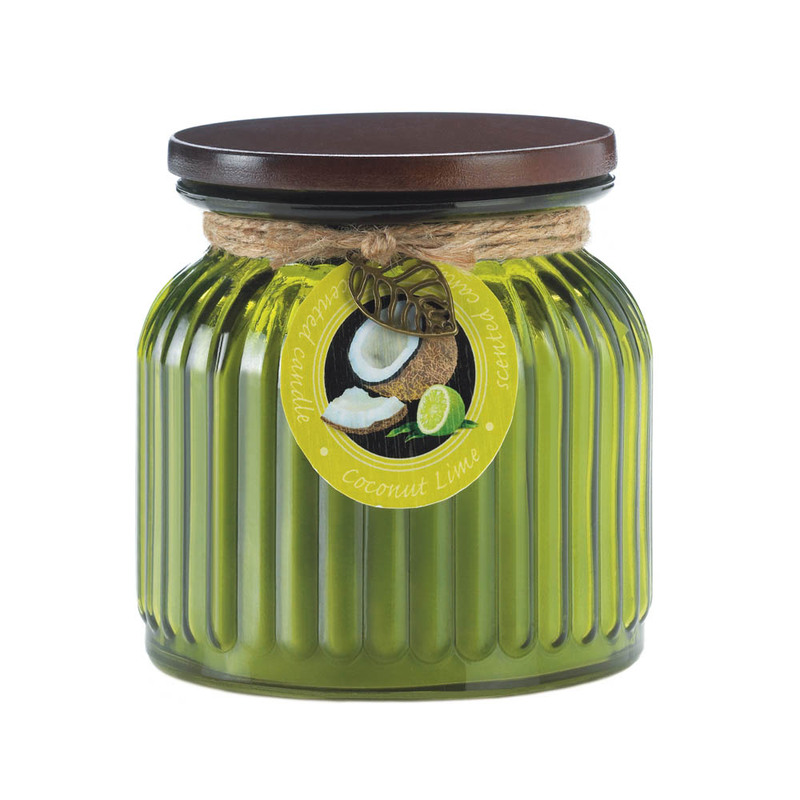 The tropical scents of coconut and lime will wrap around your room when you light this ribbed-glass jar candle. 16 oz. Burns up to 100 hours. Measures 4¼” diameter x 4½” high. Glass and paraffin wax. Two of the most beloved aromas mix and mingle to create an irresistible home accent. 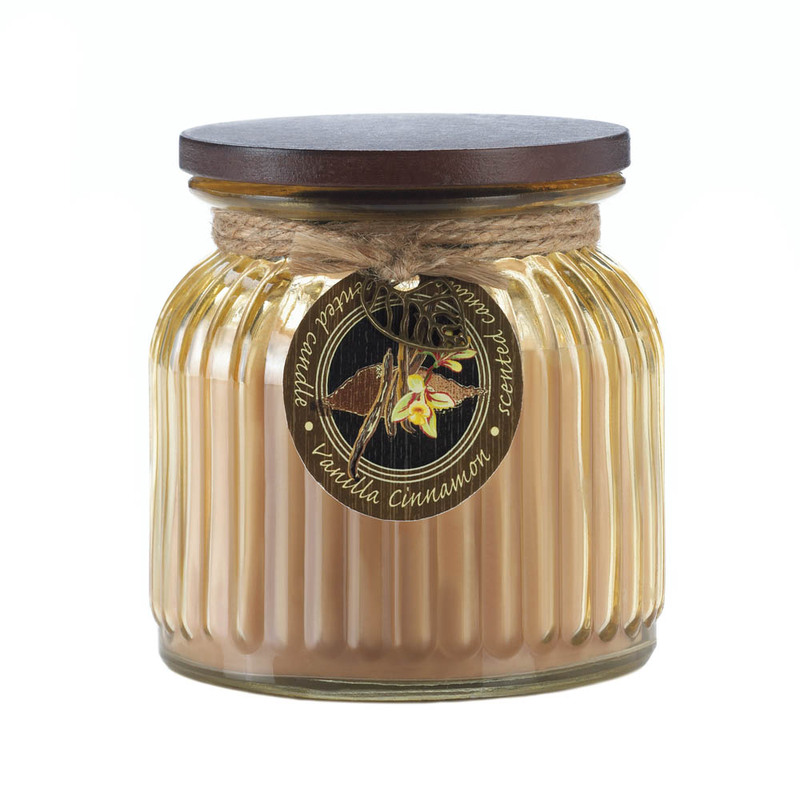 This ribbed glass jar candle comes with a snug-fit lid and will fill your room with the scent of warm vanilla cinnamon. Apple spice and a jar candle that’s nice! 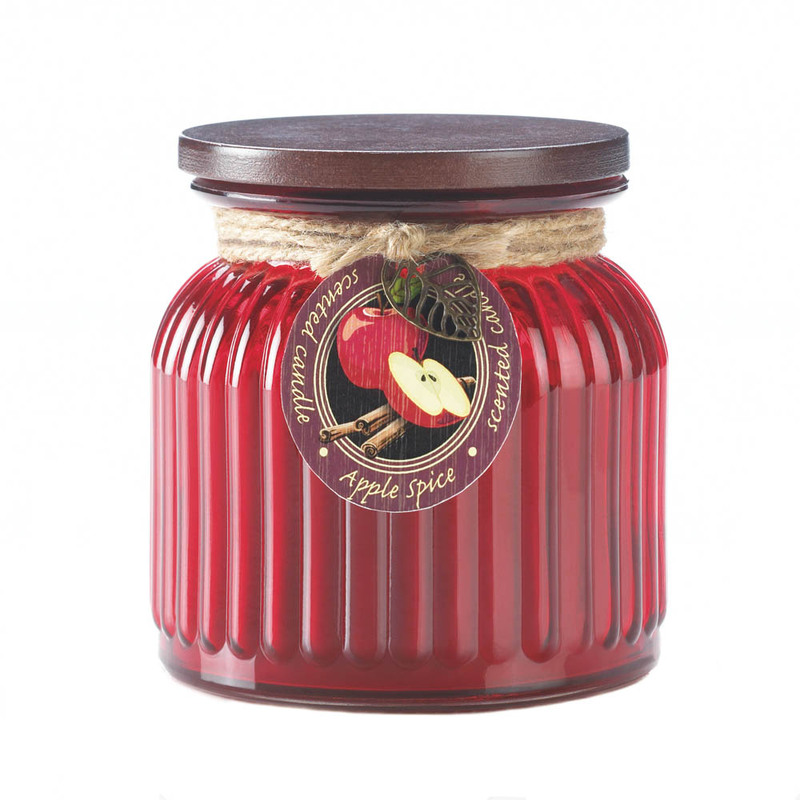 This red ribbed jar candle features a matching lid and houses a long-lasting candle that will fill your room with the warm and welcoming aroma of apple spice. This entry was posted in Home Decor, New Seasonal & Special Occasions and tagged Candles, Home Decor.